Dreams do come true - for Matt at least. "Allegedly" goes for the gold with Olympic skiing medalist, ESPN Body Issue model and star of MTV's "The Challenge" (as well as Matt's dreams) - Gus Kenworthy! The out and proud (but taken... or is he?) 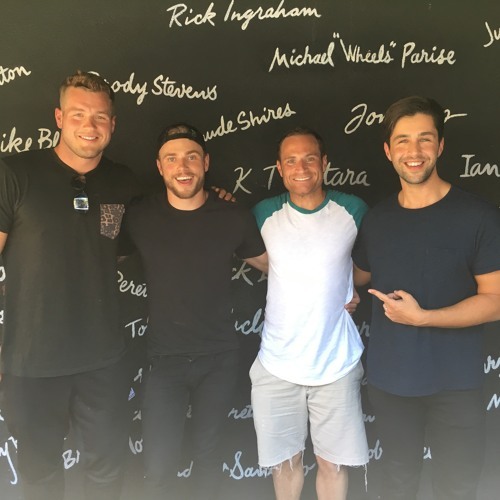 stud, along with guest co-host Josh Peck, and football's (and formerly Aly Raisman's) Colton Underwood proves too much for Matt who literally has to tap out due to the hunk overload. Kenworthy opens up to the boys about his relationship, making out with Miley Cyrus, banging in the Olympic village, and refusing to go to the White House. Though the competition between Matt and Josh heats up in the last sports themed round, the real question becomes - will Matt get Kenworthy's number? What do you think?